If there’s one aspect of home and interior design that gets a homeowner more excited than any other, it is undoubtedly kitchen design! There’s just something about all the materials, colors and appliances that go into making a kitchen that makes the prospect of designing such a space so alluring. 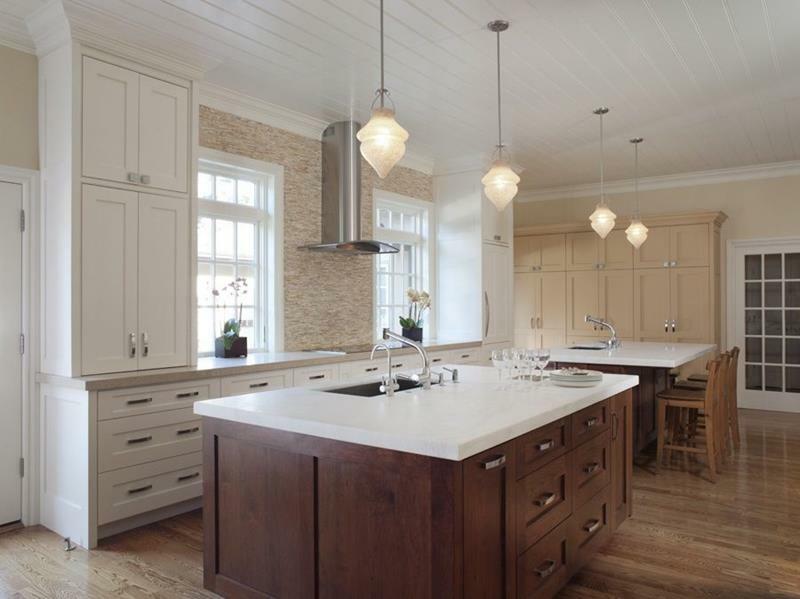 Now, when it comes to kitchen design, there are plenty of different ways to go about things. Some people will prefer contemporary styling, with its sleek edges and clean surfaces. Others will want to go the rustic route, favoring raw wood tones and unique décor choices. And somewhere in between, you’ll find people who like to keep things traditional. Traditional doesn’t mean boring, though! Quite the contrary, as it turns out. 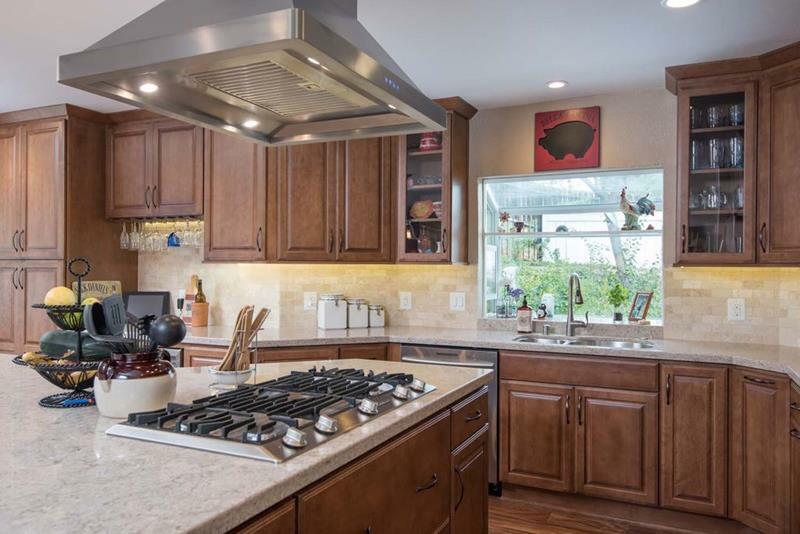 A traditionally designed kitchen can actually be a thing of wonder, especially if you’ve got a home that features an open concept. To show you what we mean, we’ve pulled this incredible list together. On it, you’re going to see 20 absolutely gorgeous pictures of kitchens that feature traditional design. So, if you’re going to be building a new kitchen soon or else will be remodeling the one that you have, read on! 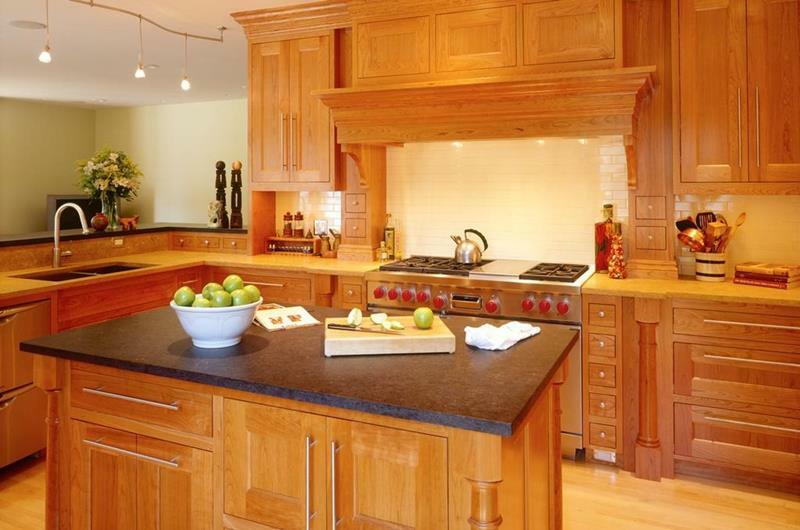 You’re going to find plenty of inspiration in these amazing traditional kitchen designs! The double island featured in this traditional kitchen design is a smart choice, and those white countertops look fresh. 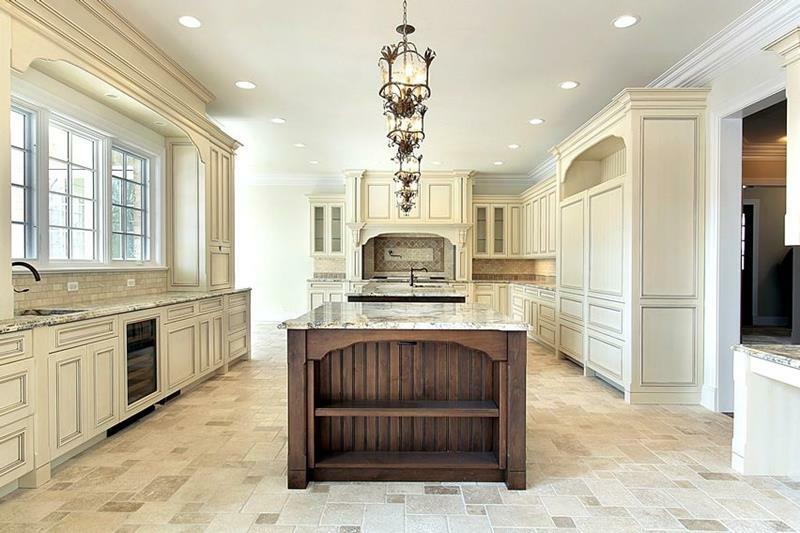 If you want a traditional kitchen design that feels warm and inviting, remember to preserve some open floor space. With a white and beige color scheme dominating here, the wood accent in the foreground is a nice touch. 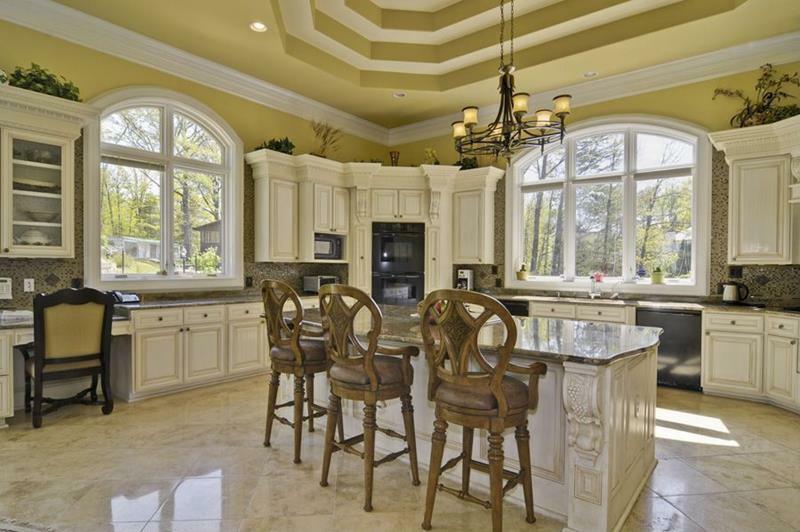 You’d be surprised by how convenient it can be to have your range placed on top of a center island. 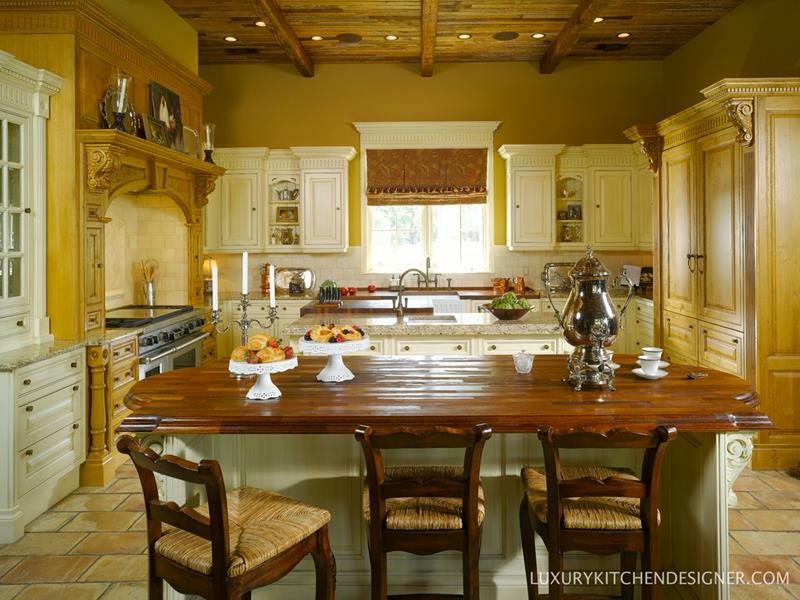 This traditional kitchen design does an absolutely amazing job of marrying different colors and materials together.